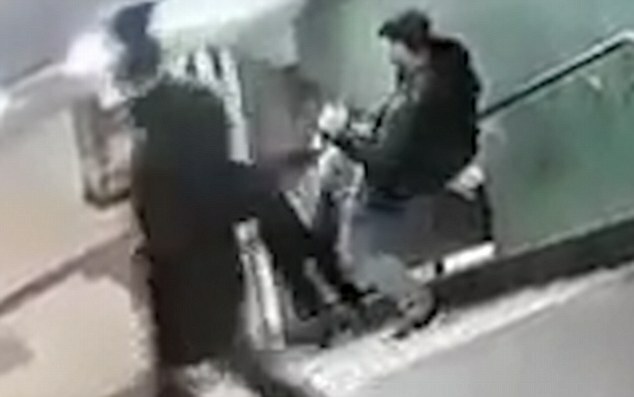 This is the horrifying moment a thug kicks a woman in the back, sending her flying eight steps down a flight of stairs and landing on her face at the bottom. 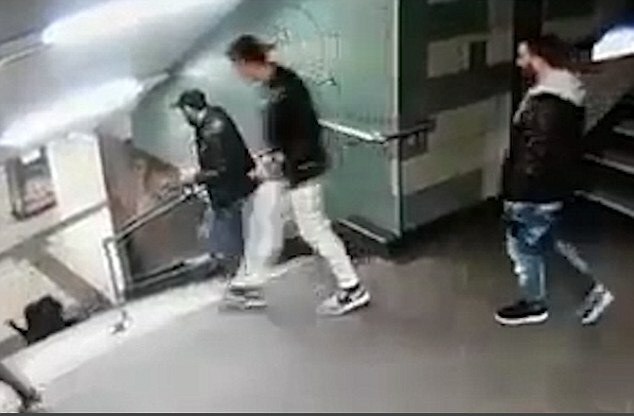 CCTV shows the young woman walking through the metro station in Berlin when the man comes up behind her, holding a beer in one hand and a cigarette in the other. 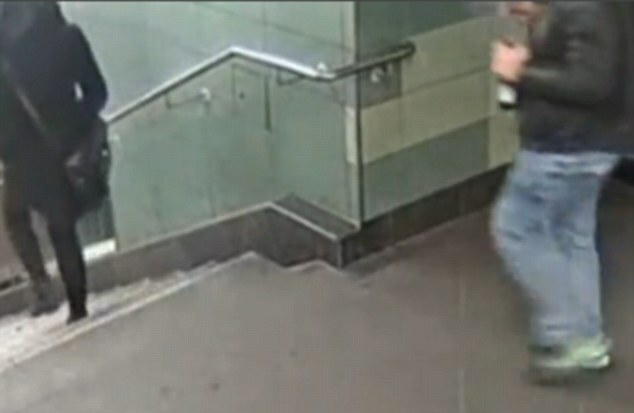 The yob, dressed in jeans and a leather jacket, aims a targeted kick at her back, toppling her down the stairs, and then walks away. His three companions glance at the woman lying on the floor before leaving. One of them even leans down to pick up a beer bottle and then walks off. A crowd of people quickly came to help the woman, who was taken to hospital, according to local media. Police are investigating the footage and the victim - said to be aged 26 - is helping with their enquiries. A crowd of people quickly came to help the woman, who was taken to hospital. The attack took place on October 27 shortly after midnight.